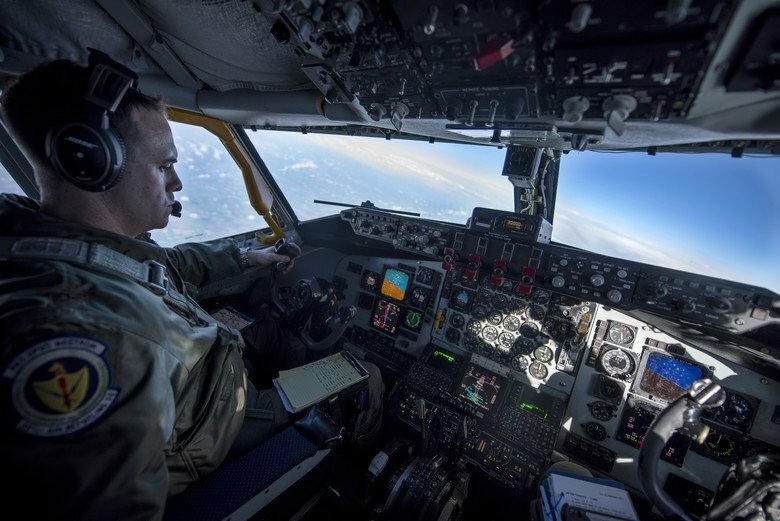 TINKER AIR FORCE BASE, Okla. (AFNS) -- The commander of Air Combat Command, Gen. Mike Hostage, declared initial operational capability for the 552nd Air Control Wing's E-3G Sentry, an Airborne Warning and Control System Block 40/45 aircraft, July 28, here. "This modification represents the most significant upgrade in the 35-plus year history of the E-3 AWACS and greatly enhances our crew members' ability to execute the command and control mission while providing a building block for future upgrades," said Col. Jay R. Bickley, the 552nd ACW commander. Bickley said meeting this milestone is a testament to outstanding teamwork as evidenced with the great partnership enjoyed between the 552nd ACW, the AWACS system program office, ACC, Oklahoma City Air Logistics Complex, or ALC, and the wing's contracting partners. Gordon Fitzgerald, the 552nd ACW's director for requirements, said six Block 40/45 modified aircraft have been delivered to the 552nd ACW and two of the E-3G models have been successfully deployed in support of counterdrug operations. He also said the wing has Block 40/45 specific parts, support equipment and technical data on hand. The wing has completed initial training and initiated a structured plan for ongoing training. 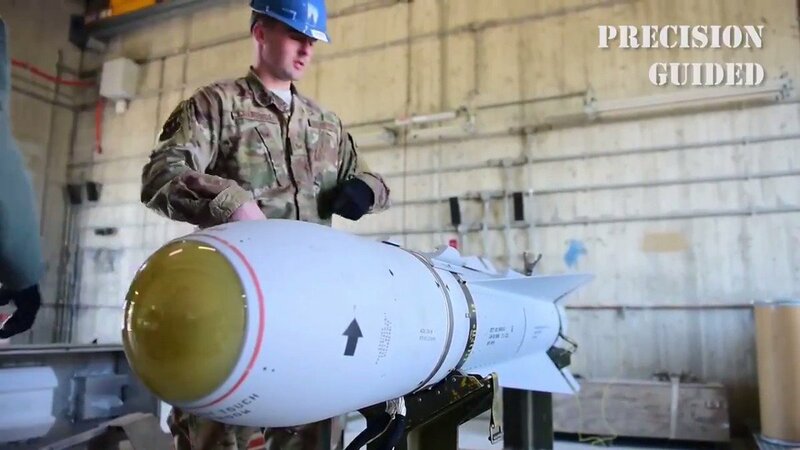 "We are confident we can deploy and support this important weapon system worldwide," Fitzgerald said. Brig. Gen. Gene Kirkland, the Oklahoma City ALC commander, said the complex workforce is proud to be part of an important operational milestone, but there is still much left to do to give the 552nd ACW more 40/45 capable platforms. Bickley praised the many members of the AWACS team who made the milestone possible, adding, "This is a great asset for U.S. command and control and a milestone we can all be proud to be a part of." The 552nd ACW is home to the E-3, with a majority of its AWACS aircraft being housed here and the remaining aircraft split between Kadena Air Base, Japan, and Joint Base Elmendorf-Richardson, Alaska. According to Fitzgerald, the entire fleet of E-3 aircraft will be upgraded by fiscal year 2020. In support of air-to-ground operations, the Sentry can provide direct information needed for interdiction, reconnaissance, airlift and close air support for friendly ground forces. It can also provide information for commanders of air operations to gain and maintain control of the air battle. As an air defense system, E-3s can detect, identify and track airborne enemy forces far from the boundaries of the U.S. or NATO countries. It can direct fighter-interceptor aircraft to enemy targets. The E-3 Sentry is designed to respond quickly and effectively to a crisis and support worldwide military deployment operations. The 552nd ACW has had a continuing presence in the Middle East, flying more than 14,000 sorties and logging more than 130,000 flying hours from 1980 to 2003. In 2003, the wing returned to Tinker AFB for a break in deployment. The break didn't last long. In early 2007, the wing returned and re-established its presence in the region.